I am writing to inform my followers that today I will be having surgery, which sadly will lead to a short lull in our adventures. It has been a scary medical summer, which finally has ended in negative test results, but needed surgery. I am grateful that up until now I have been able to push through it all and keep on our adventures. 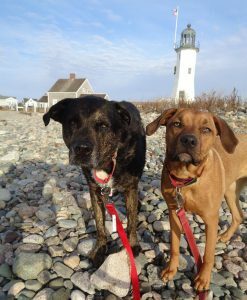 Exploring New England with Shadow and Wilma has been the greatest therapy I can ask for during this challenging time. They have kept me motivated, and smiling while facing this unexpected life detour. So, hopefully just for a couple weeks our adventures will be on hold, but we will be eager to be off again soon. Thank you for following our blog and/or visiting/viewing. We look forward to the return of our adventures. PS – Don’t forget our “Throwback Thursday Adventure” – which will continue! Here is to a fast recovery!